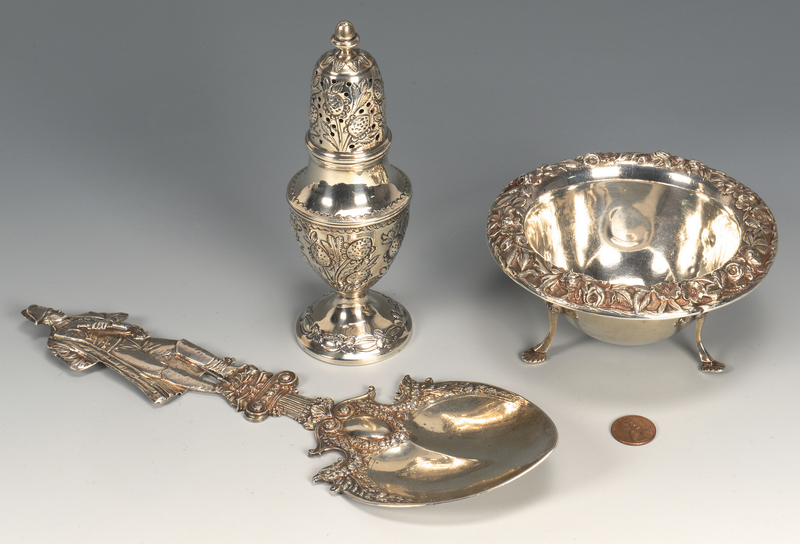 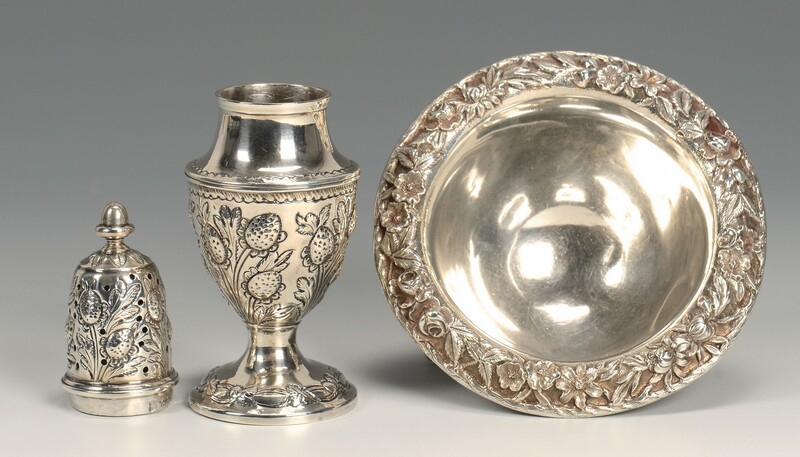 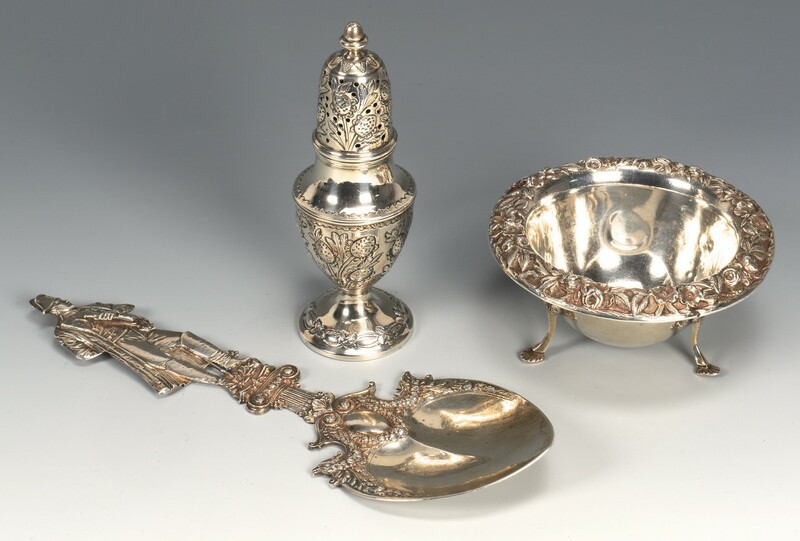 3 silver items, all circa 1900. 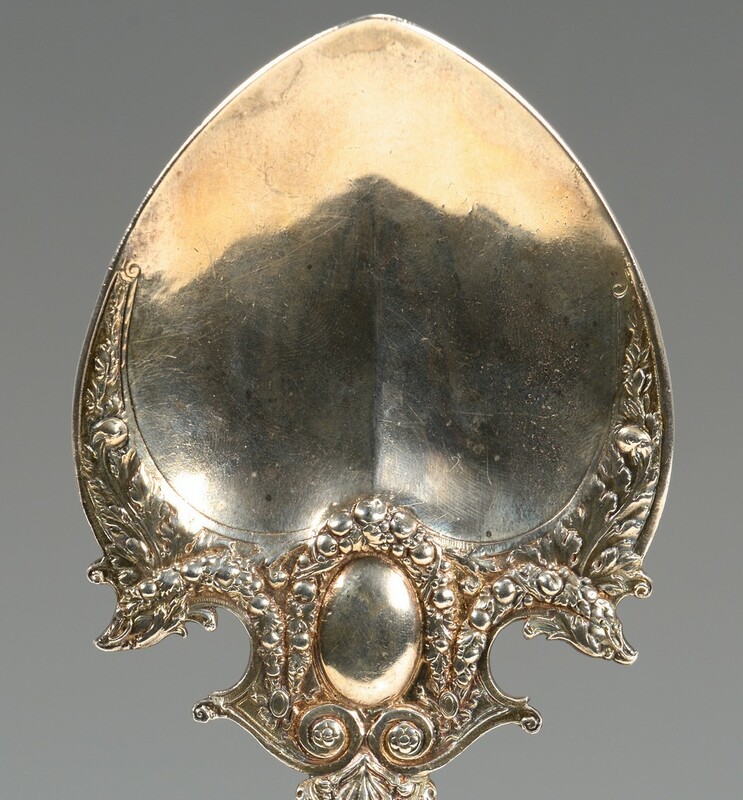 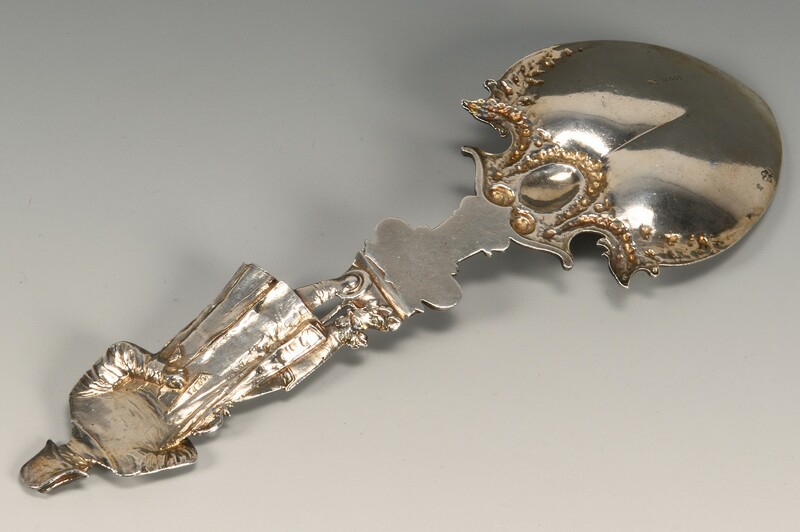 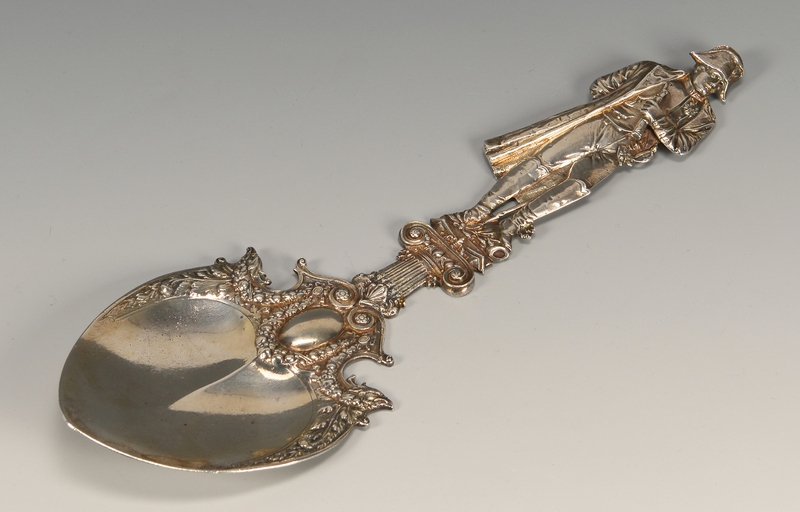 1st item: Large Hanau (German) Napoleon-themed serving spoon with shield-shaped bowl and vacant oval cartouche, the handle depicting the French Emperor standing on a pedestal and holding a spy-glass. 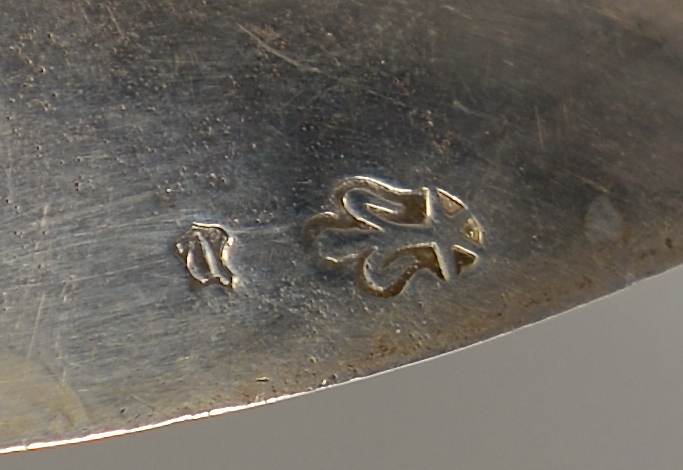 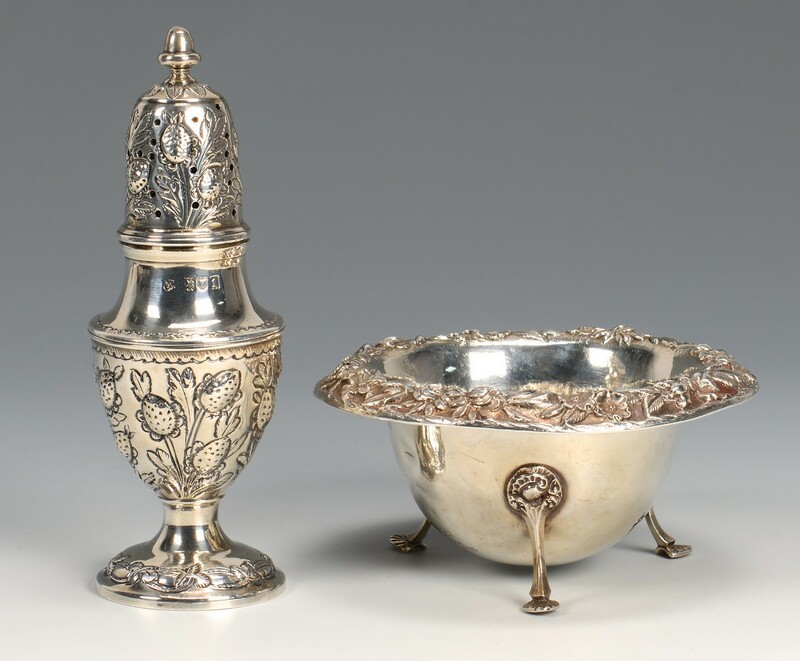 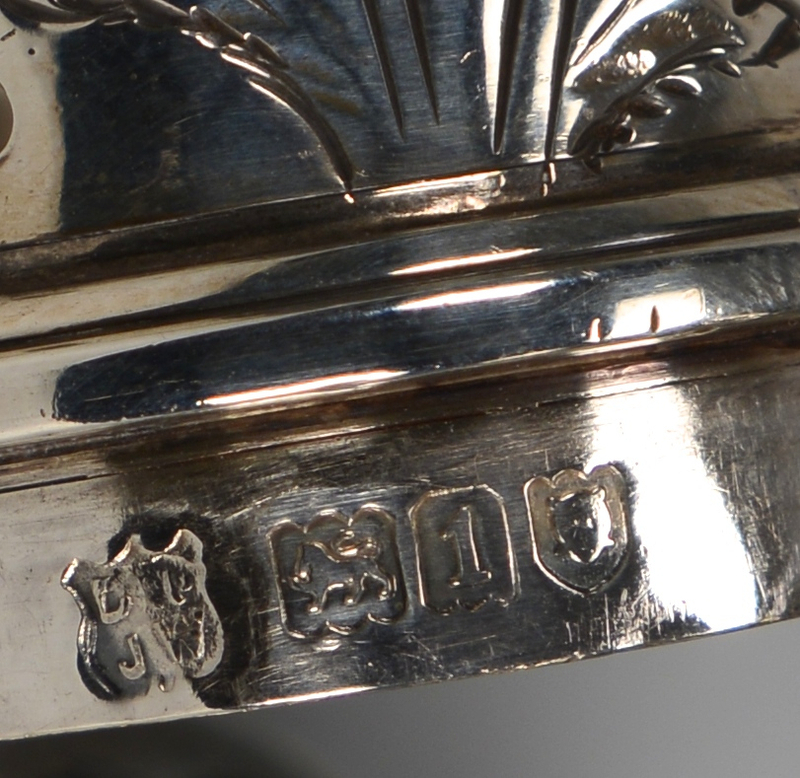 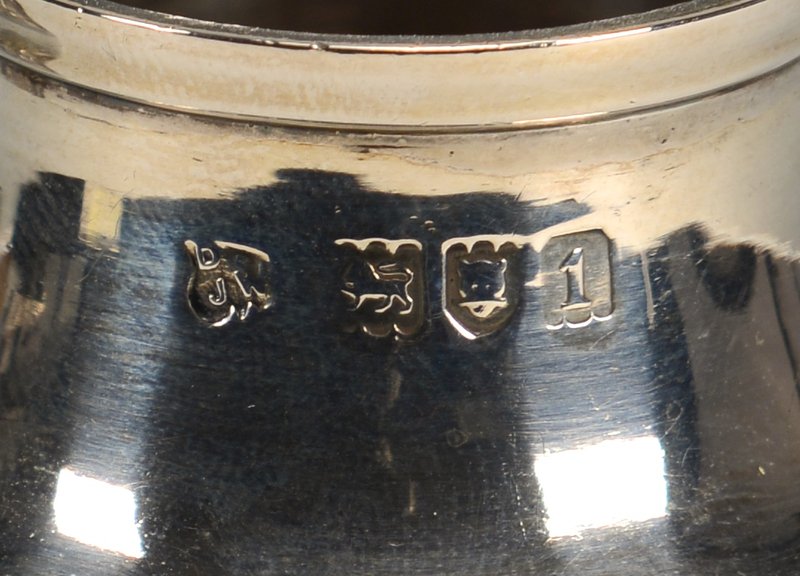 Hanau faux French marks and sponsor/Import mark of Berthold Muller, London, 1897, 10-1/2" L. 2nd item: Edwardian sterling silver castor with repousse leaf and berry designs and an acorn finial, marks for London, 1906. 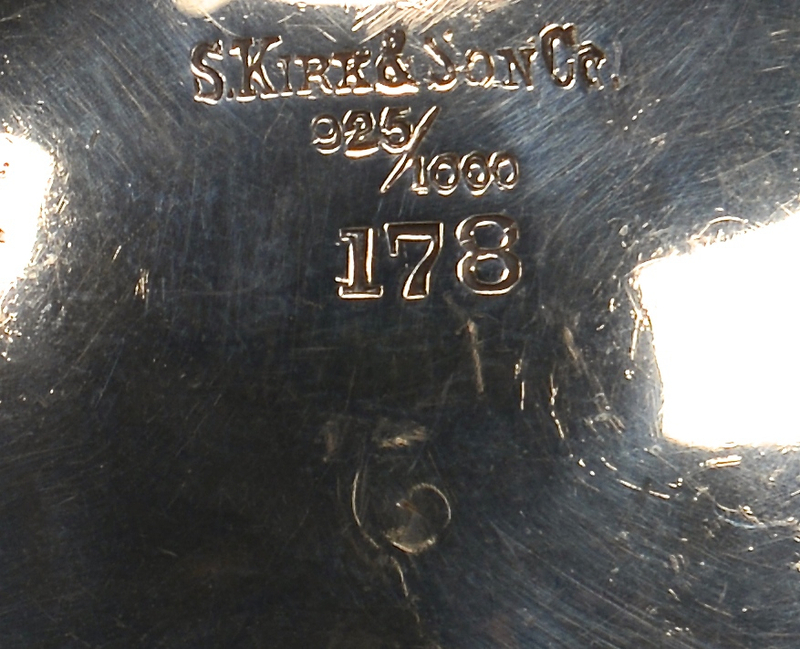 6-1/4"H. S. Kirk & Son Repousse pattern sterling candy dish, round with three shell form feet, 2-1/2"h x 5" diameter. 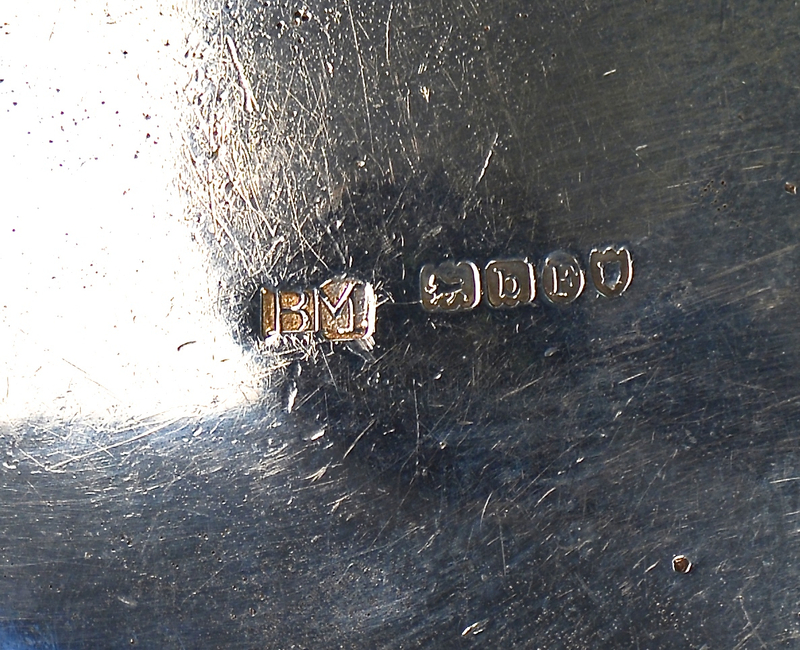 12.4 oz troy combined weight. 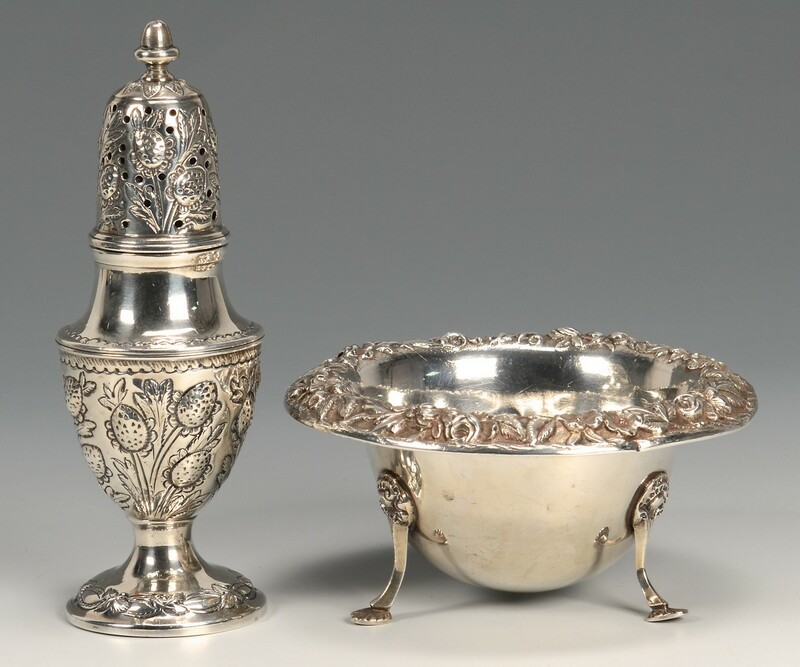 CONDITION: Couple of tiny dents to candy dish, overall excellent condition.